You can never underestimate what you can do with some plywood, foam, and a dream. 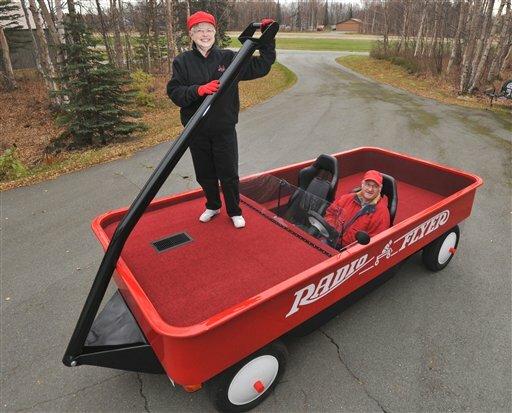 Fred Keller and Judy Foster were at a car show when they saw a hot rod rigged up to look like a bright red Radio Flyer wagon. The pair were instantly inspired. Here’s the end result– a human-sized big red Radio Flyer. It’s a thing of beauty, no?